The 1st of November, 2008, is the date of the 50th anniversary of the Programming Department. Created as a department of the Institute of Mathematics of SB USSR Ac. Sci., it in fact formed the basis of the Siberian school of informatics. The history of this team was started in 1957, when academician S. Sobolev, one of the founders of the Siberian Branch of USSR Academy of Sciences and the first director of the Institute of Mathematics, proposed Andrei Ershov for a head of the Programming Department in his Institute. But formally Igor Pottosin became the first head of the department according to the order issued on the 1st of November 1958, the "birthday" of the Department. From the very beginning, A. Ershov was the actual leader of the department taking active part in hiring staff members, as well as in choosing the research direction. In 1961, he moved to Akademgorodok and became the formal head of the Programming Department. In 1964, it joined the newly established Computing Center of the Siberian Branch of the USSR Academy of Sciences. The scope of problems facing the Programming Department was widening in time, its organizational structure changed and there appeared new research directions. 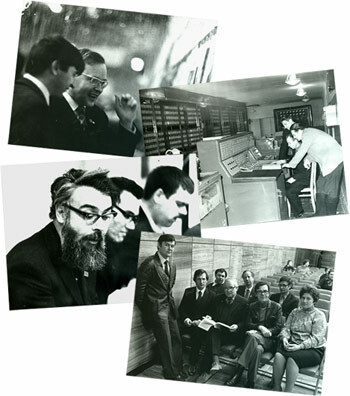 In 1990, the Institute of Informatics Systems was founded on the basis of several departments of the Computing Center (the Programming Department among them). Named by Andrei Ershov, it is justly considered to be a successor of the Programming Department keeping its main research directions and maintaining its best traditions. Our site, devoted to the 50th anniversary of the Programming Department, presents the memoirs about academician A. Ershov, some of his well-known papers, and the pictures reflecting different moments of the Programming Department history. Dear friends! Would you please visit the site (http://pde.iis.nsk.su) in the Internet, register and answer our questionnaire, and your reminiscences will be read by everybody who greatly appreciates academician A. Ershov, a prominent scientist and person, and by those interested in the history of informatics in Siberia.